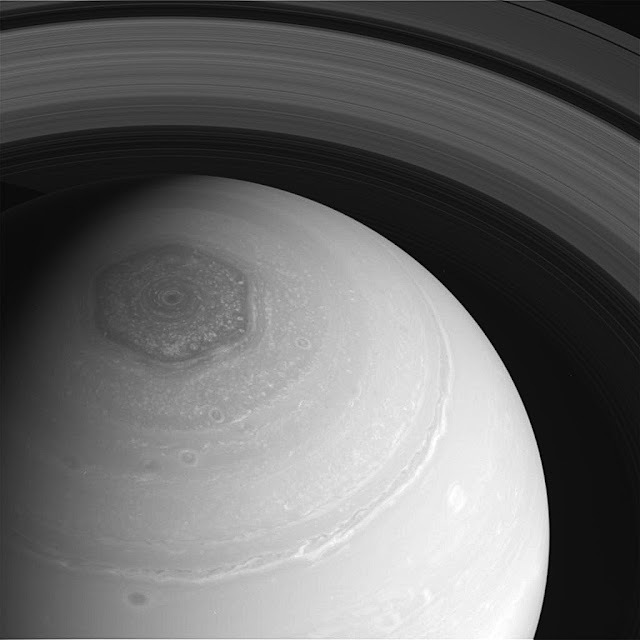 Above:Saturn, core of a system of moons and rings like the solar system in miniature. Our solar system is, well, awash with ocean worlds*. And, thanks to the Cassini mission, we've gotten to know one: Enceladus, 500km wide moon of Saturn. Dark - the ocean's covered in 20km of ice - but maybe not totally black: There's volcanic activity on the ocean floor, like the white smoker vents of Earth, so there'd be the dim glow of volcanism. More importantly the salty, alkaline, water contains organic chemicals and hydrogen - food for possible micro-life. 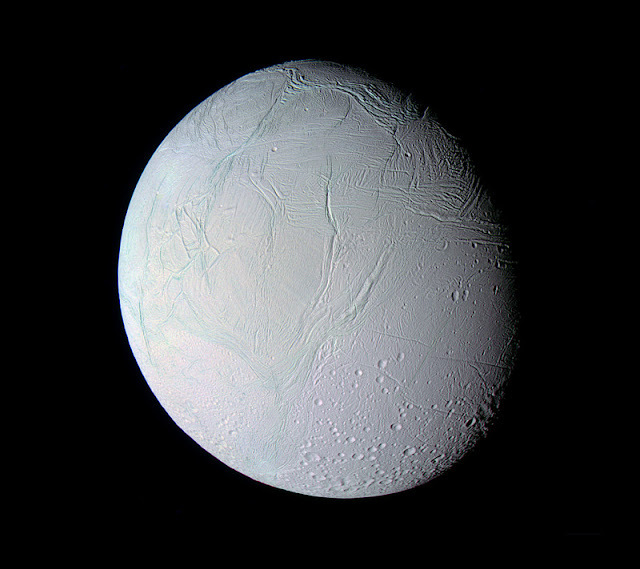 Above: The icy surface of Enceladus. Opinion: Does space belong to the robots? What's so important about re-usable rockets?